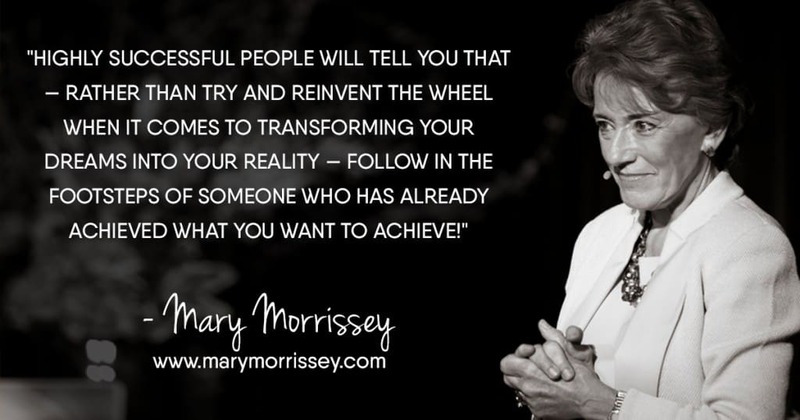 Highly successful people will tell you that — rather than try and reinvent the wheel when it comes to transforming your dreams into your reality — follow in the footsteps of someone who has already achieved what you want to achieve! This week, I’ve asked several of the world’s top teachers of transformation 3 very important questions about how to overcome fear, deal with “negative naysayers,” and make a difference in the lives of others. If you have a desire to create a life you truly love living and make a positive impact in the world through transformations that make a difference, their answers will be truly helpful for you! 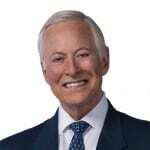 Brian Tracy is a world-renowned expert on achieving personal and entrepreneurial success. He was featured in the popular film, “The Secrets of Self-Made Millionaires,” and he’s written over 70 books, including the bestsellers Maximum Achievement and Change Your Thinking, Change Your Life. He’s also published over 300 audio and video learning programs, including “The Psychology of Achievement,” which has been translated into more than 20 languages. Q1: What’s one “trick” that you have for overcoming fear, doubt and worry? Fear, doubt, and worry hold us back from achieving the things in life that we are truly capable of. Fear of failure and rejection is the single greatest obstacle to success. The antidote to these fears and doubts is the development of courage, character, and self-esteem. By realizing and accepting that you can do anything you put your mind to, and continually thinking of yourself as a valuable person, these harmful, internal thoughts will slowly begin to subside and hold less control over your life. Q2: How do you deal with negative naysayers… people in your life who may not be supportive of your goals and dreams? It’s easy to deal with positive people, but the true nature of your personality is revealed in times of adversity. Your ability to deal with negative people is a determining factor of your overall happiness. Oftentimes, their negative remarks have very little to do with you, and a lot to do with their own personal thoughts and feelings toward themselves. Q3: What goal would you like to reach in the next three year that would make a difference in the lives of others? Over the next 3 years, my goal is to continue to help others achieve their personal and professional goals through my speaking engagements. During the entire length of my career, I’ve addressed more than 5 million individuals, in over 70 countries, on the best strategies for setting and achieving their goals. I hope to expand on this, and reach people in over 85 countries within the next 3 years. 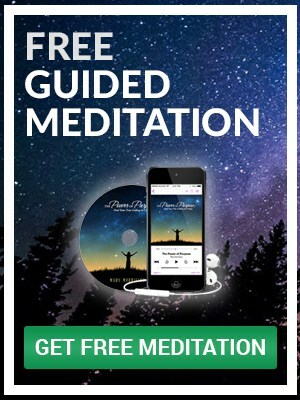 A GIFT FROM BRIAN: For a FREE copy of Brian Tracy’s “14-Step Goal Setting Guide,” designed to help you achieve your personal and professional goals faster than you ever thought possible, click here now. 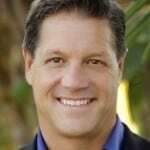 The author of two New York Times bestselling books, Having It All and The Answer, John Assaraf is an entrepreneur, brain researcher, the CEO of NeuroGym, a brain research company that creates some of the most powerful evidence-based brain retraining tools and programs in the world. John was featured in the hit film, The Secret, and in the special documentary Quest for Success with His Holiness the Dalai Lama and Sir Richard Branson. We become, have and attract what we think about and act upon correctly the most. Everyone has fears, doubts and worries. When you start to fixate on these thoughts, they can hold you down forever. You have to start thinking about what you want, rather than what you’re scared of. Oftentimes our worst fears never even come true. The most successful people in this world all have fears, worries and doubts — the only difference is that they focus on solutions and taking action, rather than only thinking about how bad their problems are. It might seem obvious to do something as simple as changing what you think about, but when you start doing this, you’ll find that it becomes a little hinge that swings a big door. You’re going to run into a lot of people in your life who will try to hold you down… and it’s not just people who don’t like you! It can be colleagues, close friends, even family members who will be jealous of your success. You can’t get down on yourself when this happens. You have to understand that it’s not that these people don’t want you to do well, it’s that they’re simply projecting their frustrations onto you. You could have a talk with this person and explain how they make you feel. Sometimes people are receptive and change. Other times they will not change. At this point, option number two is to cut them out of your life in order for you to move forward. This can be tough, but sometimes it’s necessary for you to choose yourself if you’re going to succeed. About 60 years ago, a man named Jack LaLanne changed the world forever. He started teaching people how exercising regularly can improve your health and fitness levels. Since then, hundreds of millions of people around the world have started exercising as a way to improve their physical health. The world is about to experience a second great ‘health revolution.’ My team and I are working every day to teach people how to use“Innercise ” to remove fears, erase limiting beliefs, build confidence, create a stronger self-image and accomplish any goal they set their minds to. We are going to help people all around the world strengthen their emotional health, so they can live fulfilled lives and achieve any level of success they desire. A GIFT FROM JOHN: To download your FREE copy of John Assaraf’s acclaimed “Life on Target,” a step-by-step workbook that will help you clearly define your goals and give your mind the roadmap it needs to focus on your success, click here now. 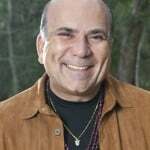 Dr. Joe Vitale is a master teacher of the Law of Attraction. He’s the celebrated author of dozens of bestselling personal growth books, including The Attractor Factor, Life’s Missing Instruction Manual, and his latest bestseller, Zero Limits. You may have seen Dr. Joe in the hit film, The Secret, or as a featured guest on Larry King Live and CNN. My trick was to focus on the possibility of the positive. After all, in any moment of fear or doubt, I always have a choice: I can continue to entertain the idea of failure, OR I can switch to entertaining the idea of success. I chose the latter. As a result, I went on to write dozens of books, create a nice living for myself and my family, and change countless lives through my work. This “trick” of shifting my thinking transformed my life and career, and it can do the same for anyone who uses it. These days, there are few naysayers! But in the early days, I learned to protect my dreams. I only shared my goals with people who could help me attain them, or who would encourage me toward them. I did my best to prevent anyone from raining on my parade. Occasionally, today, someone will ridicule an idea of mine (like ending homelessness). But I choose to focus on those who believe it’s possible, not on those who believe it’s not. I do my best to ignore or avoid the naysayers. I’ve also used their energy as momentum, urging me to prove them wrong… and I’m not above turning their negative comment into a blog post, where I can respond, speak my mind and explain my position. I also once wrote a song about believing in yourself, as a direct result of a family member not believing in me. So again, I either avoid negative naysayers, or I use their energy to propel me forward. Either way, I remain true to myself and my dreams. Abraham Lincoln had a dream to end slavery. Despite the difficulty of it, and that’s an understatement, he succeeded with his proclamation. I have a dream to end homelessness. While many will scoff and point out the difficulty of achieving this dream, I look at the possibility of it. Decades ago, I was homeless. I didn’t have the resources then to do anything to pull myself out of that situation, not for quite some time. Today we do! Anyone can enter a library and use a computer, whether they are homeless or broke, to get the information they need to make their lives better. I’ve created a website called OperationYes.com, and I’ve written a book called Operation YES, both of which give people the resources they need to prevent or get out of homelessness. 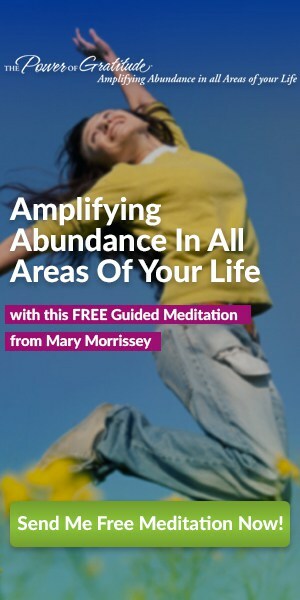 A GIFT FROM DR. JOE: For FREE access to Dr. Joe Vitale’s 7-day Awakened Millionaire Challenge, where you’ll discover the secrets to elevating your financial and spiritual freedom to new, untold heights, click here now. 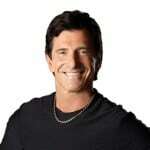 Harv Eker is the #1 New York Times bestselling author of the books, Secrets of the Millionaire Mind and SpeedWealth. He has also developed several highly-acclaimed courses, and is the producer and trainer of the world-famous Enlightened Warrior Training. T. Harv has helped over 1.5 million people move closer to their goal of financial freedom. Everyone has fear doubt and worry, including me! But I know that this is coming from my mind, versus the outside world, because the mind uses it as a survival mechanism. Its primary job is protection. I understand that, like an over-worried mother, my fear-based mind is only doing its job. I listen to what it’s telling me, then I simply say, “Thank you for sharing!” Then I take a deep breath and re-direct my mind back to the present moment and what I want to accomplish. I deal with negative people by understanding that they are only expressing what is inside of them. Their negative thoughts and opinions were probably learned from others, and they generally come from fear. I understand that what they’re saying is really a projection of their own beliefs, fears and issues — meaning, their opinions are really all about them, and they’re really none of my business! Then I simply smile and with compassion, not judgment, say my four magic words again, “Thank you for sharing.” They’re happy because they’ve been heard. I’m happy because I didn’t buy into their negativity. Q3: What’s a goal or dream you have to make a difference in the lives of others that you’d like to accomplish within the next 3 years? I’m working on a new project right now that’s a big stretch for me, but I truly believe this is what’s needed in the world and will make the biggest difference in the lives of others. Right now, I’m testing all the principles out on myself to make sure they work in the real world. So far so good! My intention is to change the lives of 10 million people worldwide. I wouldn’t call it giving back, I’d call it giving forward. A GIFT FROM T. HARV: To download a FREE copy of T. Harv Eker’s bestselling book, SpeedWealth: How To Stop Earning A Living And Start Creating Wealth, click here now. What top 1-2 insights opened up for you from reading what these top transformational teachers shared? Leave a comment below to join the conversation, we’d love to hear from you! Thank you ! Everything is important and the people around us and specially the coaches. Thank you for sharing such fantastic insights. I wrestle with negative thoughts/mindsets on a daily basis. This article gave me more encouragement and resources for creating a positive focus. Thank you for sharing Jennifer. Every day is a great opportunity to get closer to your goals and dreams! Every little step counts! Have a great day and keep it up! My newest article is coming very soon… stay tuned! Putting the WOW in PoWOWerful. This was a great read and amazing resources. thank you! Glad you like it Sherrie! Exercising the skill of “casting down wild imaginations” (2Cor. 10:5), especially FEAR, is an imperative to living the abundant life that God desires for us. We desperately need to improve our ability to focus on what is healthy and decrease the effects of what is unhealthy for us all, so that we can fully enjoy LIFE! Here’s to Bonnie’s Abundant Healthy Life! Thanks for this words,brilliant people!!! Everyday interaction in life is very difficult.Need energy! This is very wort sentences, and your friend share with others!!! I see every honest and open person feeling that war ….and we are not alone in this road!! I’ve been trying to overcome my fears and realize what my dream and goal specifics are. I have listened to each one of the teachers of transformation and love everyone of them. I know you have to visualize, define and motivate yourself to get where you want to be. I will be doing your How to create your life’s goals, How to beat procrastination and fear. Keeping in mind to take a breathe and acknowledge it’s my minds way of protecting itself. Thank you to all for sharing your knowledge and expertise. Thank you for your comments! It is amazing how being aware and noticing what you are experiencing and noticing, will help you focus in what you really love! Yes, breath and always remember that you are far greater than any circumstance you might be facing! Here’s to your FOCUS and to your dreams! Each day I have a choice what I want to listen to. I can choose to listen towards the fear and doubt or I can choose to listen for what I want to accomplish. My biggest take away regarding naysayers is thanking them for sharing and realizing that so much of what they are saying is their own projection of possibility being frustrated about their own lives and has little to do with me. Thank you for your comments! Everyday is an opportunity to grow from any circumstance that we are facing! I applaud your thanking naysayers since we can learn from them too. Receive this FREE eBook called “Stronger Than Circumstances”. You can share it with all of them and help them grow! Here’s to your personal GROWTH Wendy! Thanks Mary for taking time-off and interviewing the most influential leaders, researchers & practitioner on Success principles. Overwhelmed by the input, just trying to figure out to apply them right away. Thanks to all gurus for sharing your knowledge, I’m great fan and followers of you all. I am so glad to read your comment. I love the fact that you are a big fan of these wonderful Transformational Teachers and follow them! Technology is a blessing when you use it to be close to people that MAKE A DIFFERENCE IN THE WORLD! Here is a Gift for you…. my FREE eBook: Stronger Than Circumstances. I think you will love it! Hey… I love that technology could be a big blessing when you use it to be close to people that MAKE A DIFFERENCE IN THE WORLD! Isn’t it? Next year, I need to get a 100k business plan in place for my business. I am in the process of choosing that special mentor. I will need tech support. I love your information. I am moving toward your goals. Your humor, kindness about being a millionaire is very inspirational. I have had millionaire family members and everyone of them were very good people. Thank you for your kind words Gerry! I’m glad you found this article inspirational and helpful. You can rest assured that any of these 4 Top Transformational Teachers would be an awesome mentor for you! With that great attitude you will reach any goal that you set. Gerry,this great article that I wrote a while ago will help you start by setting goals!! Im sure you will like it! Recognizing the fear thoughts and separating those thoughts from personal goals. This seems to be consistent among the four men. They remind themselves to make that separation daily. No need to deny the negative thoughts, ours or other people’s, but focus on your own goal. Oh, and be specific with yourself what your goal is! Thank you for your comments Christine! You are right! Focus on your own goals and act, fearful or not, but take action. 1. Harv Eck’s insight that naysayers ‘are only expressing what is inside of them. Their negative thoughts and opinions were probably learned from others, and they generally come from fear… just smile with compassion’. 2. Joe Vitale’s ‘What if…’, or ‘What if…’ message above his desk. I see that those insights opened up for other people like you Karen. Everyday is an opportunity to grow from any circumstance that we are facing! Even from naysayers! What if we decide to learn from them and grow??!! Receive this FREE eBook called “Stronger Than Circumstances”. I think you will love it! Here’s to your personal GROWTH! I will adopt the four words of T Harv “thank you for sharing” . This I think will work wonders to all concerned.